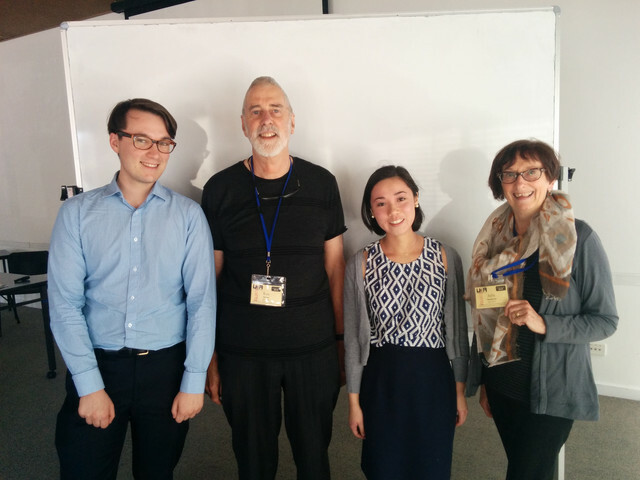 Two Monash Summer Research Project students (Grace Jackel and Aaron Kovacs) researched the questions that participants wanted answered in the 3rd session. They are shown below together with the U3A co-ordinator (Julie Nankervis) and myself. This entry was posted in Complementary medicine, Education and tagged U3A. Bookmark the permalink.